The previously teased Ressha Sentai ToQger Ranger Keys have finally been revealed by Premium Bandai as the Ranger Key Set Rainbow Edition, set for release in March, 2016. When the Ranger Key Set Lost Edition was revealed, it teased the release of ToQger themed Ranger Keys coming in the future. 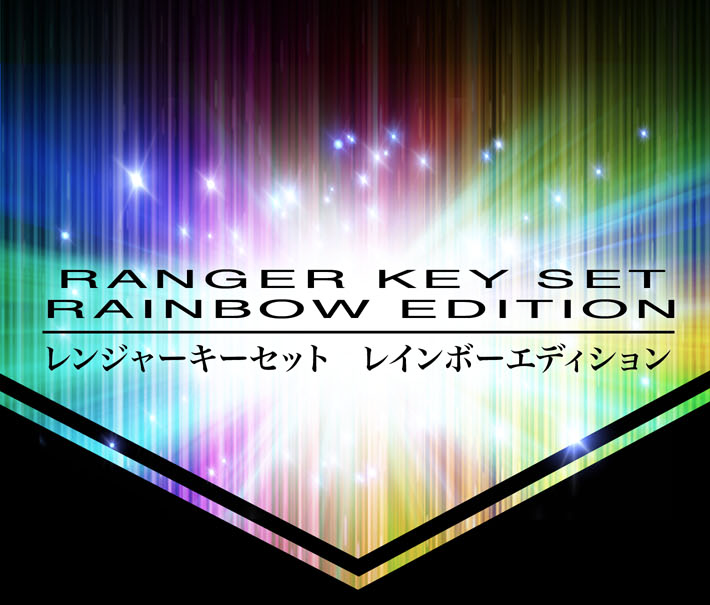 That future is now, as Premium Bandai has officially unveiled the Ranger Key Set Rainbow Edition featuring Ressha Sentai ToQger. The set will include a total of 40 Ranger Keys spanning virtually every form seen in the series and its related films. Oddly enough, despite the fact the set goes as far as including ToQ #0 and ToQ #-100, no Hyper ToQgers are included. This could be a design choice, or Hyper Forms could be available in a future Ranger Key Set. No secret or hidden Ranger Keys are listed on the product page. Pre-orders for the set begin on Premium Bandai on September 30th, 2015 and will conclude on January 4th, 2016. The 40 Key set will cost a total of ¥29,999 before fees and shipping and will be released to customers in march, 2016.